Ruthiebear (Titusville, NJ, United States) on 18 December 2013 in Lifestyle & Culture. I guess it is time to start thinking about Christmas decorations. Real nice processing here. I think the focused color fits the shot very well. Lovely bit of festive colour popping. I like it. I love the selective colouring. Glorious close-up and beautiful selective colour. Wonderful capture of the beautiful ornament. Excellent DOF. Quelle belle étoile rouge et brillante sueprbe compo. A jewel ! Beautiful ! Beautiful Christmas photo with nice color treatment ! Beautiful decoration, I like it :-))Haleja. Happy Wednesday evening ,my good friend Ruthie! 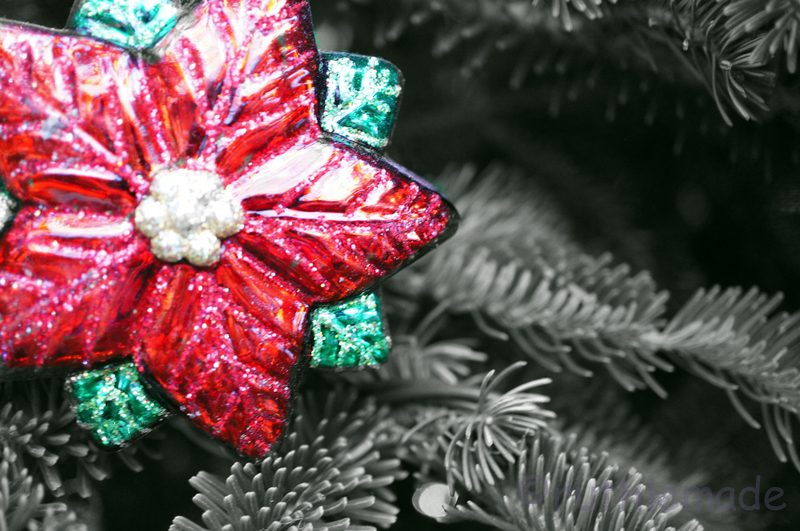 This Christmas ornament beautifully photographed, nice use of focus as well. lovely red and "green" frame !!! Beautiful light and color! Wonderful detail and great use of selective color! This ornament really stands out! I live the beauty of Christmas, and you do a wonderful job of capturing it. Interesting how you offset the ornament and the processing showcases your focal point. Beautiful close-up and ornement! Gorgeous colors!